Do you want to use free samples wisely and receive more of them? 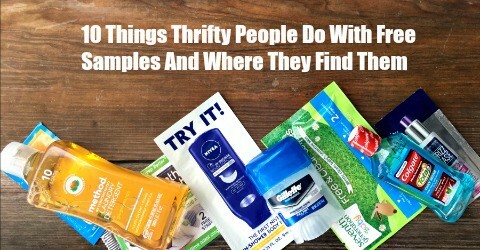 Here is how thrifty people use free samples and where we get them. I have an entire shelf of our storage closet devoted to free samples. Free dental samples, free beauty samples, free shampoo samples, free detergent samples, misc–are what the bins that line the shelf read. As any mom who has been a mom of a child old enough to spend a night or two away knows, not everything you send them with comes home. That is why I love sending my child with free samples of shampoo, deodorant, body wash and even sunscreen if I can nab a free sample of it. When we are camping, we tend to use the shower houses at the campsites. I love it when I can give each of my children a different free sample of shampoo and body wash and send them all off to the shower houses to use separate shower stalls without having to worry about having enough shampoo and body wash bottles to go around. The “unmentionable” samples are a favorite of mine to slip into my glove box to use when needed. Most samples come with a coupon worth at least $1 off the item. These high-value coupons help stretch our grocery budget. I don’t own a Keurig, yet I sign up for sample Keurig cups whenever I can. The samples are for a friend who does own one and is always thrilled when I give her my Keurig samples, as well as the coupons inside them. Most places we stay on vacation supply all the shampoo and soap we need, but they don’t provide laundry soap. I love doing a load every day even when we are on vacation so that we don’t come home with an overwhelming pile of dirty laundry. I save up the free samples of laundry soap to stick in our vacation totes just for this purpose. We have a very tight Christmas budget and samples help me stretch it so that I can include gifts for our closest friends. Every year I give at least one mug or stainless steel tumbler full of free coffee samples and free travel-sized beauty samples to a friend. 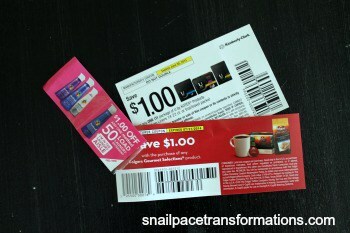 I usually try to add a gift card earned from one of my favorite point programs as well. Since I tend to save my samples for all the above reasons the stash comes in handy when I step into the shower and realize the children have used an entire bottle of shampoo in a matter of days and now we are entirely out and grocery shopping day is still days away. Instead of having to run to the store when this happens, I run to our free sample stash. I think this is an awesome way for people on a tight budget to give back to their communities. Have you ever bought a large warehouse size bottle of shampoo that you have yet to try only to get it home and try it and discover it is horrible? Free samples are a great way to try out new products to see if they work for you and your family. 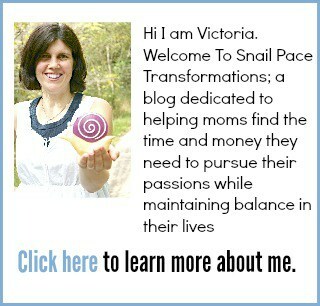 Moneysavingmom.com is my favorite source of free samples. Crystal’s team always puts up great samples of items that I know we will use as they become available. The site also has a weekly list of free samples. Companies sometimes offer coupons for free samples you can pick up in-store or free samples sent by mail. 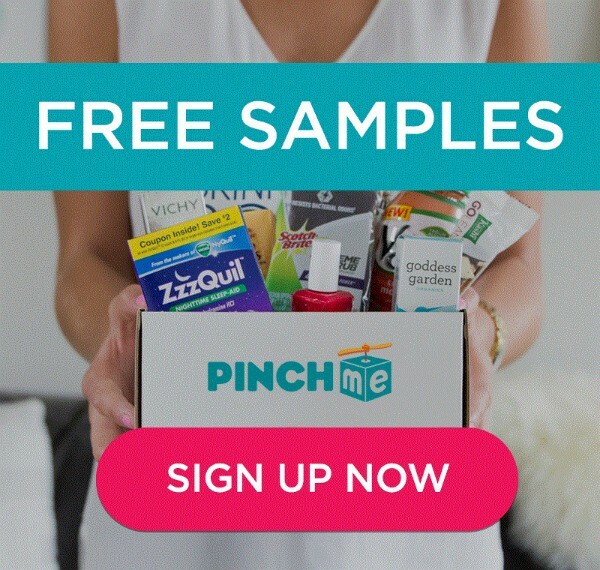 PINCHme is a website that sends out generous sized free samples. Once you sign up they notify you by email when the next round of samples is available. They go fast so be sure to sign up as soon as you get the email. Freebies 4 Mom is another great website that lists free samples as they become available. 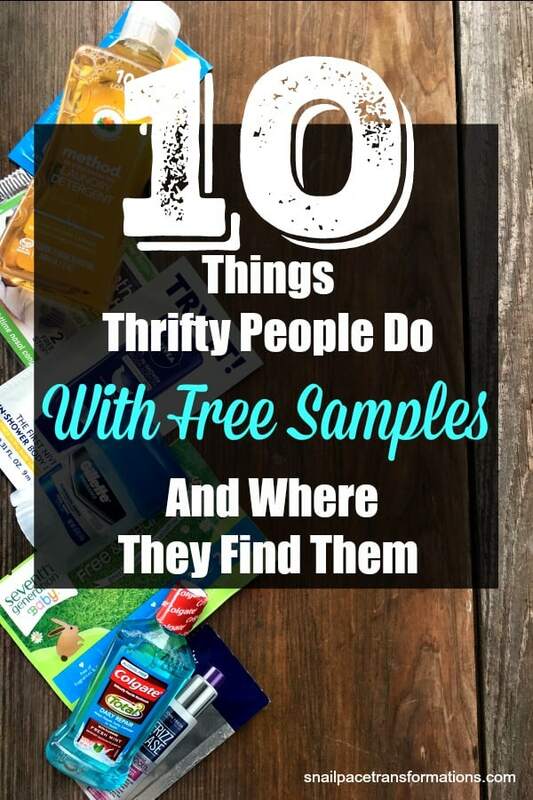 Do you know a great place to get free samples that aren’t on my list? Leave it in the comments. Just to add to the list, but I collect my free samples and donate some of them to homeless shelters. Those small sizes are perfect for the often used communal facilities and are easy for them to carry with them. Great idea! Thanks for the tip. That is an excellent way to give even when you are on a tight budget. Donation and gift baskets are my fave sample uses. 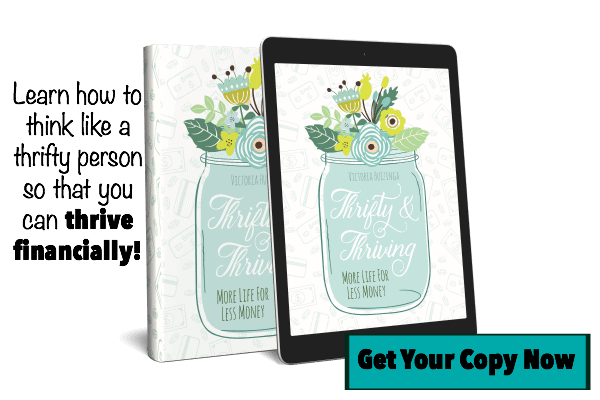 Thanks for this great post and for linking up on Saver Tips Tuesday! This is a great post! I love receiving samples in the mail. I also try to shop at Ulta when the big cosmetic bags of freebies are being offered. Thanks for the referal to Freebies 4 Mom; I’ll have to check out the site! Your welcome she lists great freebies. 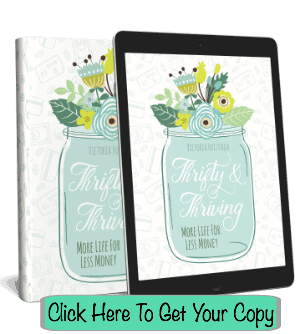 Awesome ideas, particularly saving them for gift baskets and using them for vacation! How would you recommend storing samples? I’ve been getting so many that I’ve been haphazardly tossing them in drawers and sometimes forgetting to use them! I had a small shelf in my pantry which as a few plastic containers sitting on it labeled, shampoo samples, body wash and lotion samples, and misc. samples. This system seems to work pretty well for our family.